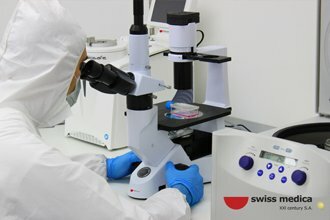 Why Stem Cells for Ms treatment? Autologous stem cells come from patient’s own body and are taken from either bone marrow or fat tissue, because those areas have the highest level of these cells. Sometimes, a combination of both are used for the best results. The dose that we work with contains about 150 million of them, which are later filtrated by a biologist and stem cell specialist. After they get sorted, cleaned, enhanced and activated, they are ready to be returned to patient’s body via IV drip. When stem cells get harvested from the patient’s body, either from adipose tissue or from bone marrow, first they get separated from the other cells, cleaned, and then counted. Therapeutic dose of stem cells – the number of stem cells proven to have a therapeutic effect on the patients is 150 million cells. Our experience over the years has shown that 95% of the cultures of stem cells achieve the number greater than 600 million cells, or if we are speaking in therapeutic doses - about 4 therapeutic doses. Various researches and studies prove that umbilical cord tissue stem cells have the ability to treat medical issues involving cartilage, nervous tissue and muscles. Those stem cells have the extraordinary ability to quickly regenerate and differentiate. Also they carry a great amount of mesenchymal stem cells. 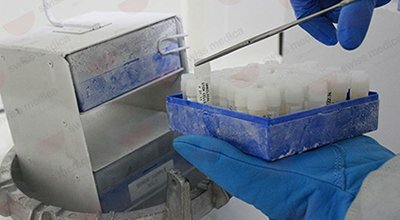 In some cases mesenchymal stem cells are extracted from the cord tissue and expanded ex vivo to reach greater results in regenerating the nervous and other tissues. How could stem cells help in treating MS? 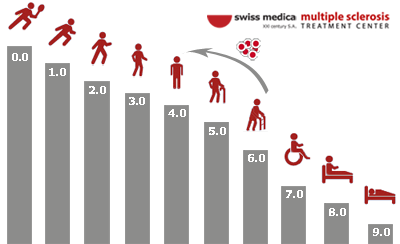 Patients consider that stem cell treatment for MS improved their symptoms (on average) by 81,6 %. Our clinic brought stem cell treatment for Ms to a completely new level, meaning that we create and customize each treatment for a specific patient. 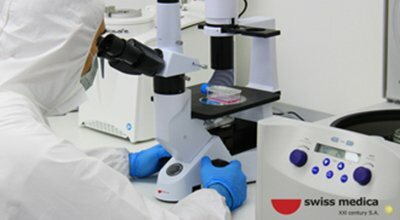 We understand that symptoms, age, progression of a Ms disease, gender, health conditions, medical history etc vary and are unique to every individual. We take time to learn each detail about our patients in order to form a treatment combination that is perfectly suitable.